With spring well underway here in Australia, it’s a chance for us all to start getting outside more and enjoying the glorious weather. After months being cooped up in the cold, use this as an opportunity to really start living life to the max again, and reconnecting with your nearest and dearest! There are few better ways to get everyone together than with good food and drink, and with the sun shining why not enjoy some alfresco dining with an epic picnic? If you’re planning on hosting something like this during the spring and summer, here are a few things to consider. First things first, where will your picnic be held? If you have beautiful parks, gardens or beaches nearby then it makes sense to choose somewhere like this so you can enjoy the surroundings as you eat and drink. If you have friends and family coming from all over, a central location will make it easier for everyone to attend, and so spend some time considering the best spot. The great thing about a picnic is that everyone can bring something along. This makes it less expensive as the cost isn’t being left to one person, and you can all enjoy each others food. But the last thing you want is for everyone to turn up with the same thing! It can make sense to assign a category to different families. That way you’ll get a good mix of cakes, savories, salads, sandwiches and other items when the day comes around. Don’t forget drinks too, a mixture of soft and alcoholic drinks will mean there’s something for everyone to enjoy. It’s so easy to overlook the extra things you need on a picnic, so be prepared. You’ll need a large picnic blanket (or a few of them) if you’re eating on the floor rather than on benches. You’ll need enough plates, cups and cutlery for everyone to eat off. If you’re going to upgrade your picnic with cooking equipment, heating or lighting for when the evening draws in- you could even look into diesel generator hire. 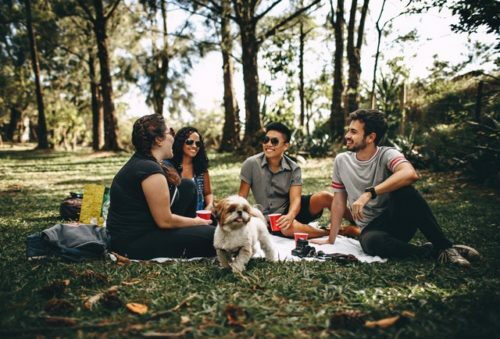 Portable generators are ideal for picnics, and are fantastic when you know you’re all going to be out for the day as it gives you access to power. As nice as it is having everyone together to chat and catch up, you could take things a step further and come up with some fun things to do too. Not only will this break the ice and get everyone mingling but it can keep kids occupied as well. You could play a game of cricket or rounders, have a go on a giant lawn game or you could run some kind of competition. If you’re out in a large spacious park in the outdoors, there’s lot of room to be able to run around and do whatever you like. Are you hosting a picnic this spring or summer?